ennVee is a global professional services firm that provides ERP consulting services to clients worldwide. All time sheet data for its internal employees and project resources is processed through a disparate tracking system built on top of NetSuite. In a major effort to enhance its analytics and reporting capabilities, ennVee integrated NetSuite with Tableau. The process for integrating NetSuite and Tableau. The steps for using the CData ODBC Driver as the integration enabler that transposes NetSuite data onto Tableau dashboards. 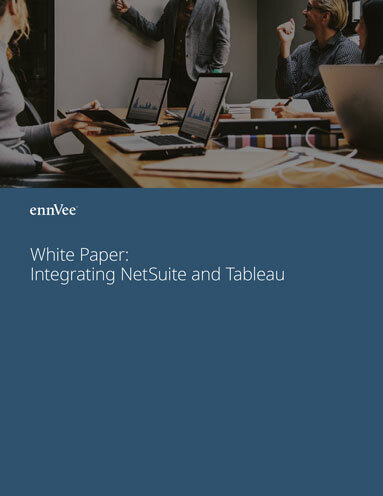 The ennVee use case that highlights the business benefits ennVee achieved by integrating Tableau with NetSuite.